We have an anonymous submission of the first 400 words to a work entitled “NELF.” Please read and give your constructive criticism in your comments. I will provide feedback below. Our gratitude to the anonymous author for their submission. Enjoy. Geraldine jogged around seaweed and broken shells deposited along the low-tide line by last night’s rainstorms. Turning from the gusting wind, she faced the horizon as the sun broke through a grey cloudbank. The tail of the storm had moved out to sea. She might have customers today after all. She’d better pick up her pace if she wanted a shower before opening the beach shop. She searched the ocean for her half-way marker, the Hyde Channel buoy. As Geraldine hurdled over piles of seaweed and shells sweat rolled down her spine. Without slowing, she pulled off her sweatshirt, cinched it around her waist, and ran closer to the surf. When she was parallel to the channel marker, she turned around. Wind pushed against her back and she sprinted all the way to the path leading to Beach Road. While bringing her heartrate down, Geraldine trotted in place and faced the roaring Atlantic. A red object bobbed in the ocean. Too small for a boat or surfboard. The object disappeared behind cresting waves. Shielding her eyes, Geraldine focused on the whitecaps and waited for the object to reappear. A small arm stuck up from the waves. A flash of red hair and white face. A child! Geraldine dashed forward, her pulse racing, and stopped short at the surf line. The child bobbed up and down. The ocean was rough. Dangerous. She couldn’t go in without a boat or a boogie board or they might both drown. She sprinted toward the lifeguard hut. Any floatation device inside would do. She pulled the handle and the door rattled. Locked! She glanced back at the rolling surf, but didn’t spot the child. Her stomach tightened. Had the child gone under? She shifted her gaze down surf. A flailing arm, and then a head broke through the foam. Thank God. The child was still afloat. She scanned the beach for someone to alert. The beach was deserted, but the child needed saving now. She yanked off her sneakers and ran until she was a half-bay ahead of the child. Geraldine took a deep breath and dove into the surf. She torpedoed under the water. Geraldine exploded to the surface and swam at an angle to reach the child quicker. Please stay afloat just a little longer. This introduction sets up a classic and eerie story. I envision a bleak seashore on the morning after a turbulent storm that has disrupted an unwavering sea. How frightening to see the body of a child adrift in the current with YOU as the only one there to save a life. The premise is a good one that would normally get me turning the page to read more. The writing is relatively clean and easy to get through without a lot of hiccups, but I wanted more. Let’s talk about setting first in a general overview. SETTING – Setting can really contribute to setting up a story if it’s entwined with the character or contributes to the atmosphere or mood to the plot. When I think of great examples of settings that ARE an integral part of the story, I think of movies like the Jesse Stone stories from Robert B Parker, starring Tom Selleck. The Maine town of Paradise is mysterious, breathtakingly beautiful and scary at the same time. Another example of a setting that becomes the story is the crime show Wallander (from Swedish novelist Henning Mankell), starring Kenneth Branagh in the role of Kurt Wallander. The isolated setting in Wallander is haunting and also says a lot about the character who is content living alone and isolated. 1.) Decide what role you want for setting to play in your plot. In J K Rowling’s Harry Potter series, Hogwarts IS a character, a very enchanting and unforgettable one. Not every story needs to have the setting so prominently described, but a great setting can enhance the plot or give insight into the character(s). 2.) Settings can contribute to the mood or add tension or a mysterious sense of foreboding. I’ll never forget the effective use of setting in Tami Hoag’s book NIGHT SINS where children go missing as the extremely chilling winter nights continue to drop in temperature, dead of winter in Minnesota. The tag lines were a constant reminder that the child could die from exposure and the clock would be ticking for the police. I was a nervous wreck as I turned the pages and stayed up way too late to finish the book. 3.) Use the senses of the reader to convey setting. It’s easy to describe a visual setting, but it can add layers of nuance if the reader’s senses are engaged. 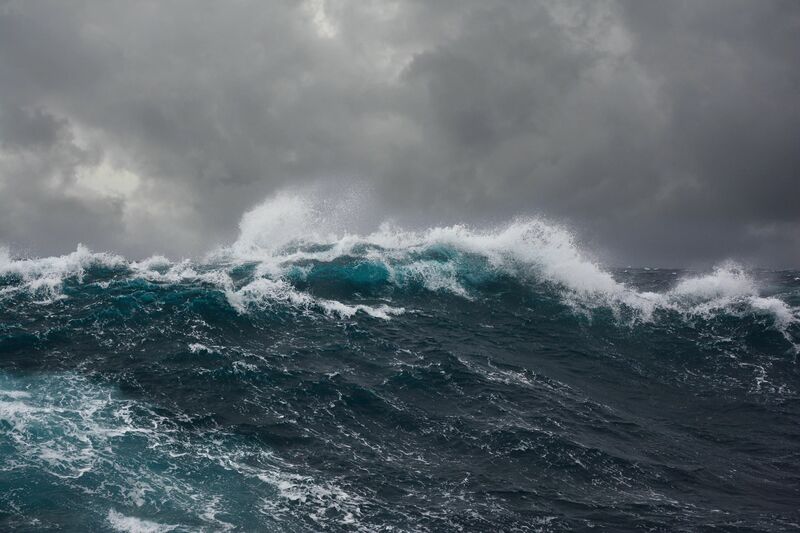 In this example (NELF), what does the sea smell like after a turbulent storm? Does it affect her breathing as she runs? Does the grit on the shore cling to her damp clothes? How does the salty sea air affect her breathing as a runner (salt through her nostrils or the taste of it on her tongue). 4.) Setting can reflect something of the character and mirror mood or be symbolic of something in the character’s life. The example I gave before about Wallander and his remote home is a solid visual example of the isolated way he lives his life. He’s content, but trouble comes to his door like a personal affront, threatening his comfort zone. 5.) Setting can be described through the character’s POV by giving the character an opinion or by accentuating the character’s body and mind through setting. In the case of NELF, the lone woman runner describes her body as she runs. Rather than focusing so much on a simple task that most people know about (ie running), why not have the mist off the crashing waves mix with the dripping sweat of her body or have the chilly wind fight the heat of her churning blood as she ramps up her pace. I’ve run in the rain before and it’s exhilarating yet very soggy on the clothes and hair. TIME OF DAY – I didn’t get a sense of the time of day. I presumed it to be morning since the woman is thinking about opening her beach shop and references a storm from last night, but time of day could contribute to the mood. I would recommend this to be clearer. REPEAT DESCRIPTION – In the first sentence, seaweed and broken shells are mentioned. The same is described in the very next paragraph (ie “piles of seaweed and shells). With such a moody setting, surely there is more to describe. MAKE THE INTRO STAND OUT MORE – The description of the woman running is bland and forgettable. The setting is also bland, considering that this eerie shoreline could contribute to the foreboding aspects of finding a body adrift in the waves. CAN THE SETTING ENHANCE THE INTRO? The author does not dwell too much on the setting before he or she gets into the mystery, but the set up could be more effective if the author decides how much the setting can enhance the intro. Review the tips on setting above to see if there is anything that would fit and enhance this mystery opener. An author would know the mind of the character and what would work best, but I would recommend the setting be enhanced to weave it into the mystery more. WEAVE IN MYSTERY SOONER – The setting description and the woman running covers the first four paragraphs, then the story switches to “a small arm” and the mystery begins. There’s virtually no lead up to the moment she sees the arm. Fear and foreboding should be enhanced to draw emotions from the reader. What if she’s running and sees the red color on the water and keeps her eye on it. Any setting can be enhanced by the mystery element of what that red thing is that’s floating. This would give her something to do, rather than staying in her head and focusing on her running. Weave the mystery in sooner and let it unfold as the sense of foreboding ramps up. NEEDS MORE TENSION AND EMOTION – As far as tension, the author has described the woman and her reaction, but it’s more in the sense of a clinical description of what she does. The emotional component is lacking for me as a reader. I can easily imagine what this might feel like to be alone on a beach run and see something horrifying, forced into action. Imagine that after she tries breaking into the lifeguard station, she dives into the ocean. On the same level as the rolling waves, she would easily lose sight of the body. Think of how that body might look as the waves undulate and lift that pale form into the sky. How would that body look in the crest of a wave? If she thinks the child is still alive, the clock would be ticking and she’d be in a panic to get to the kid. How does that affect her breathing? Does she tread water to search the waves? Is the body floating on the back or on the face? Now imagine coming up on the body too fast and being faced with it as it brushes up against you. Cold skin. Icy water. Bloated face of the child? This opening scene could be much more emotional and I can picture how anyone would be drawn into the mystery of this child’s death. What feedback can you give our brave author, TKZers? 2.) How do you work setting into your stories? Have you ever enhanced your story with setting? Describe how it worked.